Today, I will talk about the most populous city in Africa. If you thought Lagos, that vibrant and chaotic city in Nigeria, you guessed right. Growing up, I always thought the name Lagos was some anglicized version of a native name given by a local Yoruba tribe. Now in retrospective, I see how far my guess was from the truth. It turns out that Lagos actually means ‘Lakes’ in Portuguese. There are different explanations for the name itself: according to some historians, Lagos was the name given by the Portuguese explorer Rui de Sequeira when he visited the area in 1472, naming the area around the city, Lago de Curamo, or Lake of Healing. Other historians think that the area was named after the city of Lagos in Portugal, a maritime town which had been the main center of Portuguese expeditions down the African coast, and whose name was derived from the latin word Lacobriga. In reality, the area that is known today as Lagos was originally occupied by the Awori tribe, a subgroup of the Yoruba people. Under the leadership of the Oloye Olofin, the Awori moved to an island called Iddo, and then later to the larger Lagos Island. In the 15th century, the Awori settlement was conquered by the Bini people of the Benin Kingdom, and the island became known as ‘Eko‘ under Oba Orhogba, the Oba of Benin at the time. To this day, Yoruba people still refer to Lagos as Eko. Lagos became a major center for slave trade during the 18th century. 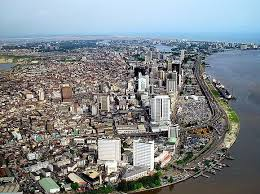 The site of the city of Lagos is made up of a group of islands separated by creeks in a lagoon (Lagos Lagoon) sheltered from the Atlantic Ocean by barrier islands and long sand spits, all located in the Bight of Benin, a part of the Gulf of Guinea. Annexed by the British in 1861, the area became known as the British Lagos Colony. 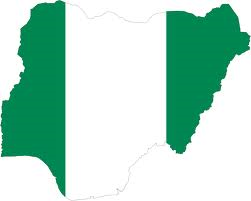 The remainder of modern-day Nigeria was seized by the British in 1887, and became a British Colony and Protectorate of Nigeria in 1914, whose capital was Lagos. Lagos was the capital of the British Colony of Nigeria, until after independence in 1960, when it became the capital of the Federal Republic of Nigeria. It remained its capital until 1991, when the capital was moved to the purposely-built city of Abuja (it is a planned city just like Brasilia, and was mainly built in the 1980s). On 14 November 1991, the presidency and other federal government functions were relocated to the capital city of Abuja. 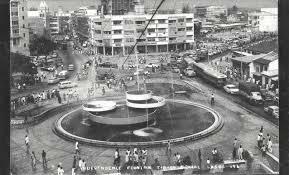 During the 20th century, Lagos’ population increased twenty-fold and urbanization has kept expanding into the continent. It is in part due to this uncontrollable sprawling that the government decided to move the capital to Abuja. The port of Lagos is Nigeria’s leading port, and one of Africa’s busiest and largest. Lagos has one of the largest and most extensive road networks in West Africa, and is renowned throughout Africa for its seemingly insurmountable traffic congestions. It is also known as the birthplace of the Afrobeat, a musical movement which was the brainchild of the great Fela Kuti. Lagos is also the home of Nollywood, Nigeria’s film industry (named in reference to Hollywood and Bollywood). In all, Lagos is mostly a business-oriented and fast paced city; it is indeed the economic capital of Nigeria, and its lungs. I guess one could say, without Lagos, there is no Nigeria. National Geographic just published an article on Lagos. Do also read the article by the Financial Times, Lessons from Lagos. Enjoy the video below. 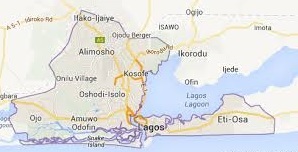 In your opinion, which one of the two versions for the origin of the name Lagos is the most accurate?